Just 30 minutes north of Nottingham. 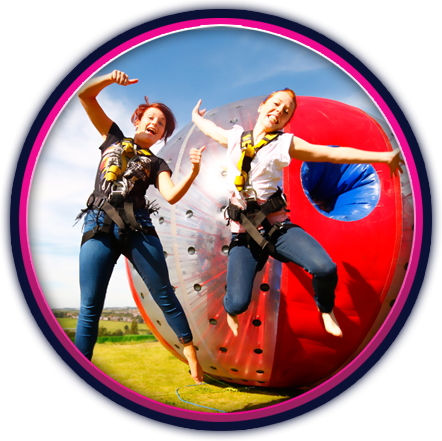 Slip and slide your way down our course inside our giant inflatable sphere. Great for 1, 2 or even 3 people.